OMG Posters! 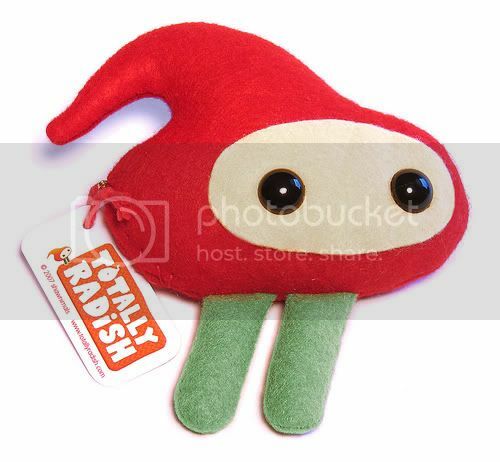 » Archive Shawnimals Show and New Plush - OMG Posters! 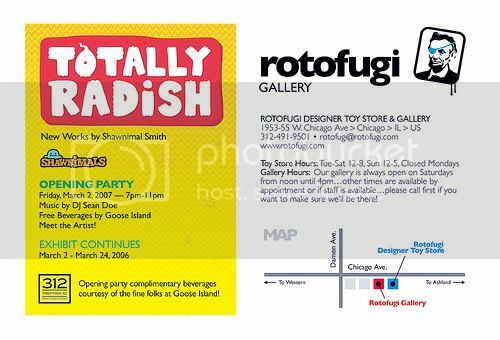 Shawnimals Smith, most famous for developing the Wee Ninja plush, will be having a show next month at Rotofugi in Chicago.� The show is called “Totally Radish”, and the opening is on March 2 at 7pm.� Shawn will be showing and selling paintings, sculptures, t-shirts, plush, buttons, etc.� If you are nice, he might even draw something for your sketchbook.� Additionally, a new Shawnimals Radish plush will debut.�� They will be signed/numbered out of 100, and 50 of them will be available at the show.� The other 50 will go up on the Shawnimals site sometime after the show. 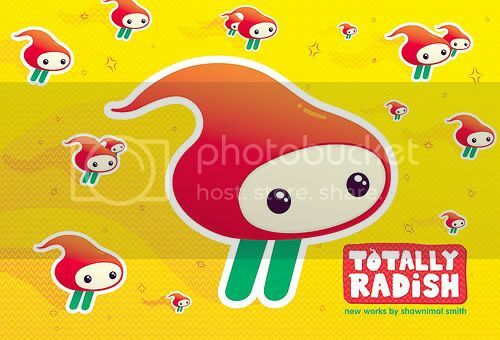 For more info about the show, visit Rotofugi.